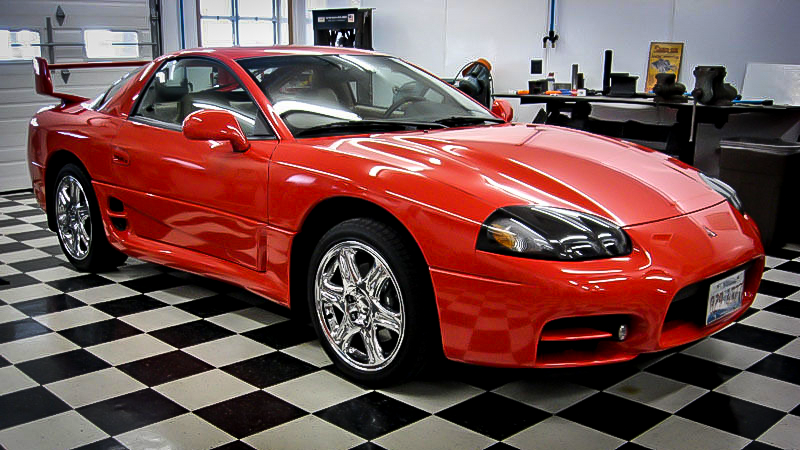 How Much Is This Museum-Quality Mitsubishi 3000GT VR4 Really Worth? I have a soft spot for these cars so unconscionably tender that I went and bought one in this exact color and model year. But it falls just short of the splendor that is this barely-driven 1999 3000GT VR4, 1 of only 287 imported to the US. With prices for turbo coupes skyrocketing, how much is this car really worth? This 1999 Mitsubishi 3000GT VR4 wasn’t the most popular of the ‘90s Japanese halo cars, but it was the one with the most tech. It had all-wheel-steering, all-wheel-drive, a boost-regulated twin-turbo V6, every option available in the ‘90s, including steering wheel controls and telephone, and it was damn fast if poked with a stick and allowed to breathe. This 4,800 mile example has been preserved, as if in a time capsule, in “better than showroom” condition, as the seller states, and I’m inclined to agree. While I do plan on selling my own ‘99 Caracas Red VR4 in a while, I’m curious to see where the top of the market is for this model. As it stands, the bidding stopped just shy of $36,000, with the reserve intact, which means the car is still available. My car has just over 4,700 miles and is all completely factory stock including, for the 1999 VR-4 model year only, the large rear spoiler. Even though it has low miles, that does not mean it was just parked for extended periods. It is driven periodically to bring everything up to normal operating temperatures to ensure proper operation of all systems.The car is in mint condition. It is all original condition with the exception of a replacement battery. Even the tires are still the factory equipped tires.The spare tire was never used. From the picture you can see it still has the factory Kanji stamping on the sidewall.The car has always been exceptionally well cared for and never abused as you can see from all the pictures. Common to 1999 VR-4’s, there is a very small hairline crack on the “C” pillar trim. I tried to photograph it but it does not show up in photographs.It has always been stored in an environmentally controlled space and is better than factory clean. Is it worth the now-high purchase price? Well, here’s the thing. Since they only made 287 of them, and the body kit is a one-year only, this car may very well be the last truly spotless car of this model in existence. How much is that worth? We’ll certainly see how the market judges it, but I wouldn’t be surprised to see this car rolling across the auction block at RM for near-six figures in a decade or less. Nostalgia is a hell of a thing.